Chinese designer brands, SANKUANZ (上官喆), Xander Zhou by Xiangyu Zhou (周祥宇) and Private Policy by Haoran Li & Siying Zhai (李浩冉&瞿思颖), showcased their works in major international fashion weeks, Paris Fashion Week Menswear and London Fashion Week Menswear in June 2018. Designer Kate Han (韩雯) won the championship of Fashion Master competition. Designers Chen Zhi (支晨) and Angel Chen (陈安琪) became the winners of the semi-final of International Woolmark Prize 2018/19 in Hong Kong. Yayi Chen won the CFDA 2018 Scholarship Award. At the same time, designer brands have actively collaborated with commercial brands. 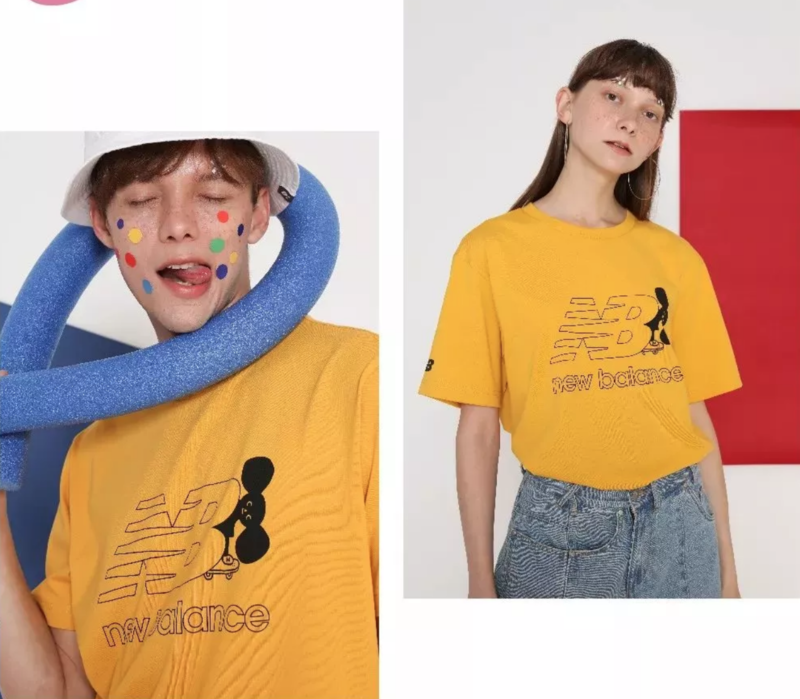 For example, designers cross-over collaborated with e-commerce platform JD, the sports brand New Balance and the movie “Hidden Man”. In the first half of 2018, designers have made significant progress in new store opening, cross-over collaboration, award-winning, and domestic and international market development. In the second half, they are expected to develop their commercial success and to establish and convey brand culture and values. Designer brands Xander Zhou, Pronounce by Jun Zhou and Yushan Li (周俊&李雨山), Private Policy, Staffonly by Ya Wen and Shimo Zhou (温雅&周师墨), Danshan by Danxia Liu and Shanpeng Huang (刘丹霞&黄善鹏), KA WA KEY by Key Chow (邹家华) and Jarno Leppanen showcased their SS2019 collections at London Fashion Week Menswear. 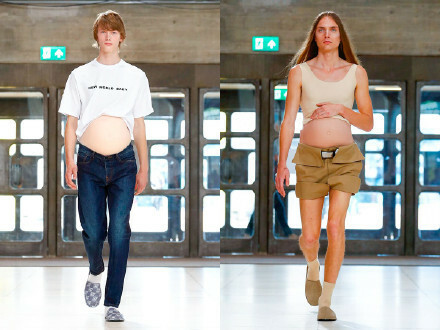 In the SS2019 collection of Xander Zhou, Xiangyu Zhou expressed his vision of the future world through a giant roulette coat with three heads and multiple arms, and the exposed abdomen of male model representing the “pregnant” body. He also collaborated with Korean eyewear brand Gentle Monster and designed futuristic sunglasses. Under “GQ China Presents”, the young designer supporting project of GQ, Chinese designer brands Private Policy and Staffonly showcased their SS2019 collections at London Fashion Week Menswear. Designer brand Angus Chiang by Yixun Jiang (江亦勋) launched SS19 collection at Paris Fashion Week Menswear. In this collection, Mr. Chiang released womenswear collection for the first time. He also cross-over collaborated with artist Wanhao Zhang (张望豪), and Taiwanese artist Ruijin Qiu (邱瑞金). NIKE EXP-X14 shoes were also presented as the world’s debut. 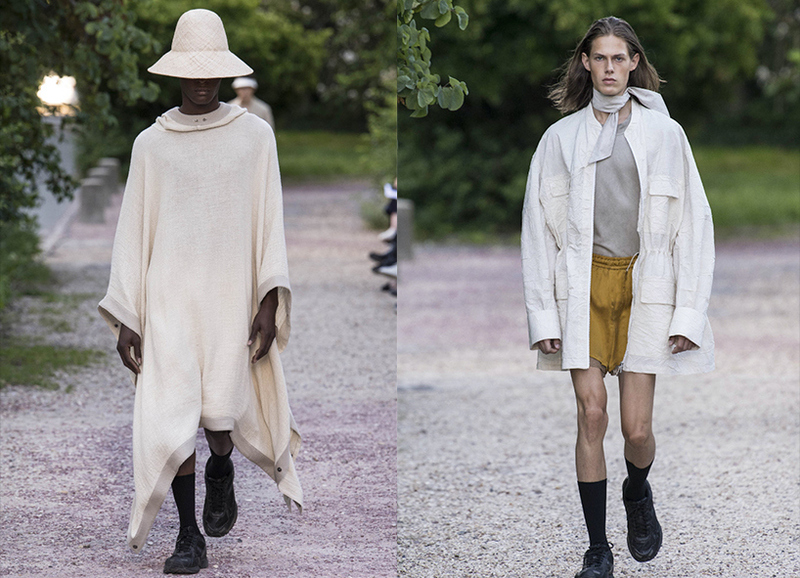 Designer brand SANKUANZ launched his SS19 collection at Paris Fashion Week Menswear. Inspired by Mexican culture, this collection reflected contemporary social realities. All kinds of social “uniforms” were deconstructed and reconstructed in the design to create a new aesthetic for Generation Z. The designer also presented three sneakers that he collaborated with Puma for the first time. Designer brand SEAN SUEN by Sean Sun (孙小峰) launched his SS2019 collection at Paris Fashion Week Menswear. Simple and fluent poncho-style jackets and structured pocket design were presented. Mr. Sun aimed to discover the boundary between useless and freedom while facing the reality of life, as well as the excitement and the fear. This was the 6th time that Pei Guo launched her collections at the official calendar of Paris Haute couture Fashion Week. Inspired by “architecture”, Pei Guo integrated medieval Gothic style architecture into the silhouette of clothing. With bold techniques, she added different layers of curves and lines in skirt supports to present novel styles. This was one of the technique highlights for the collection. Designer Fengchen Wang (王逢陈) showcased her SS2019 collection at New York Fashion Week on July 10th, with the theme of “My Life”. 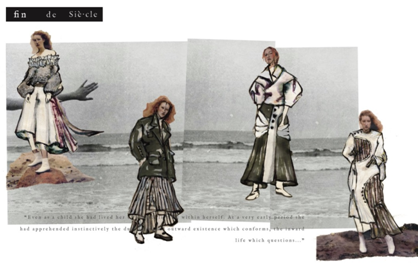 In this collection, she collaborated with Levi’s and launched womenswear for the first time. After 10 episodes of intensive competition, the fashion culture competition TV program “Fashion Master” was concluded and announced winners in June 2018. Designer Kate Han (from MUKZIN) won the Championship of Fashion Master 2018. Designer Alicia Lee (李坤) won the Most Inheritance Spirit Award. Designers Ping He (何平) and Youqiao Ding (丁又乔) won the Craftmanship Award. Designer Yueming Meng (孟月明) won the Most Potential Award, Designers Zhidong Wang (王致东), Junne Lau (刘彦君), and Ping He won the Outstanding Designer Award. Featuring trendy Chinese style, the designer brand MUKZIN was the champion of Luxe.Co InnoBrand competition in 2015. Among over 300 contestants from 46 counties, Chen Zhi (China支晨), Angel Chen (China陈安琪), Yohei Ohno (Japan) and Youser (Korea) became the winners of the semi-final of International Woolmark Prize 2018/19 in Hong Kong. They will represent Asia to attend the global finals in London in February 2019. Inspired by the works of American abstract artist Agnes Martin, designer Chen Zi’s design focused on classical elements such as grids, lines, polka dots, and squares. She wanted to re-interpret traditional structures and to apply the most advanced knitting machines to realize new and pioneering techniques. Angel Chen’s design was inspired by the lifestyle, and independent and determined spirits of the female deep-sea divers in Hado village of Jeju Island in South Korea. She took reference from the diving suits and wool swim suits in late 1920s and Topper wool swimsuits produced by Jantzen in 1930, and transformed the silhouette to modern ready-to-wear garments. In addition to the brand’s signature bright colors, Ms. Chen also applied combined wool materials to achieve waterproof, windproof, ventilation and body temperature regulation functions. 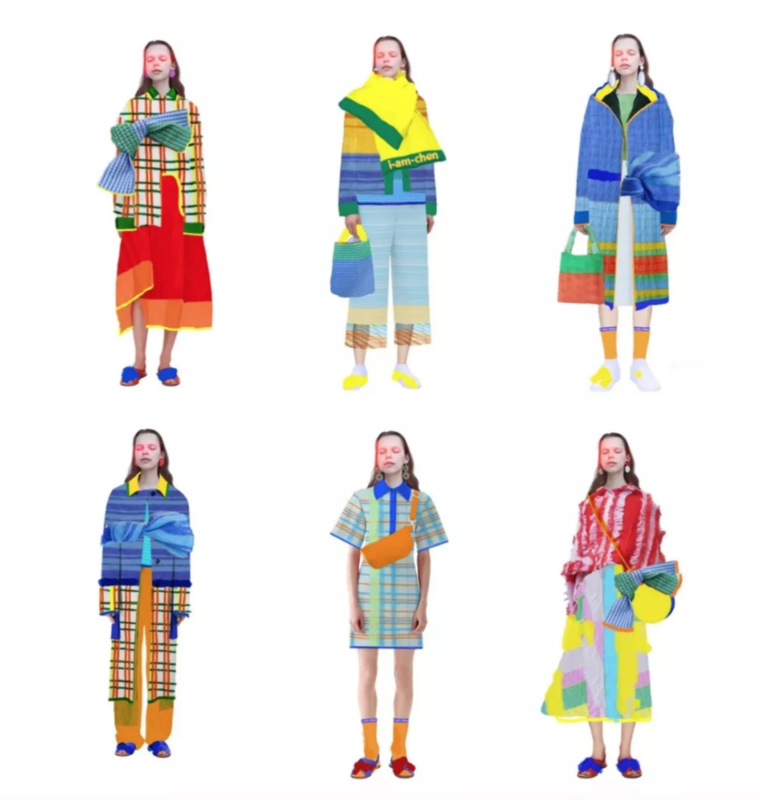 Chinese designer Yayi Chen is studying at Parsons School of Design (U.S.). 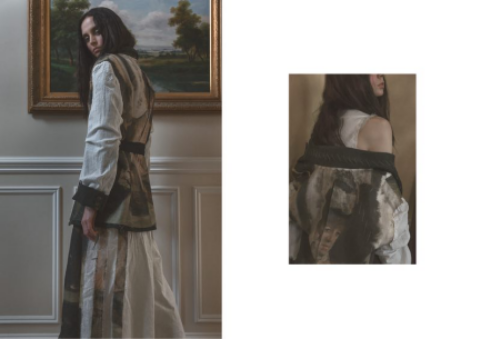 With her design named Fin de Siėcle, she won CFDA 2018 Scholarship Award in June 2018. 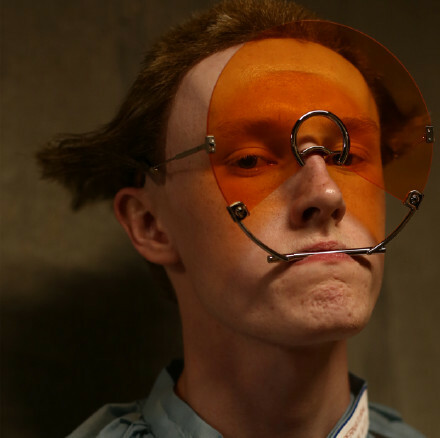 There are 14 sets of ready-to-wear garments in the collection Fin de Siėcle. The collection is inspired by the costumes of different characters in the novel “The Awakening” by American feminist writer Kate Chopin. With the research in fabric and silhouette, Ms. Chen used needle-pieced felt-making techniques to integrate women’s and men’s fabrics, including silk, laces, suit wool, yarn knitting, and linen fabric. Chinese e-commerce platform JD collaborated with Chinese designers Haizhen Wang (王海震), Simon Gao (高杨) and Evening Yu (于惋宁) and launched exclusive capsule collections. The collections with Haizhen Wang and Simon Gao are collaborated with JDX, the cross-over collaboration project under JD. Chinese designer Daniel Wong collaborated with the personal care paper-based product company Kleenex and designed packaging for the brand. The design inspiration was from natural animals. Daniel Wong placed ten animals, which have positive energy and different characters, in the design and hoped to bring positive energies to Kleenex users. The collaborated products will be sold in supermarkets, personal care stores, convenience stores and online stores in Taiwan. In addition, Daniel Wong collaborated with the electronic brand Garmin and designed the watch belt for Fēnix 5X Plus, Garmin’s first watch that can detect blood oxygen saturation through a blood oxygen sensor. 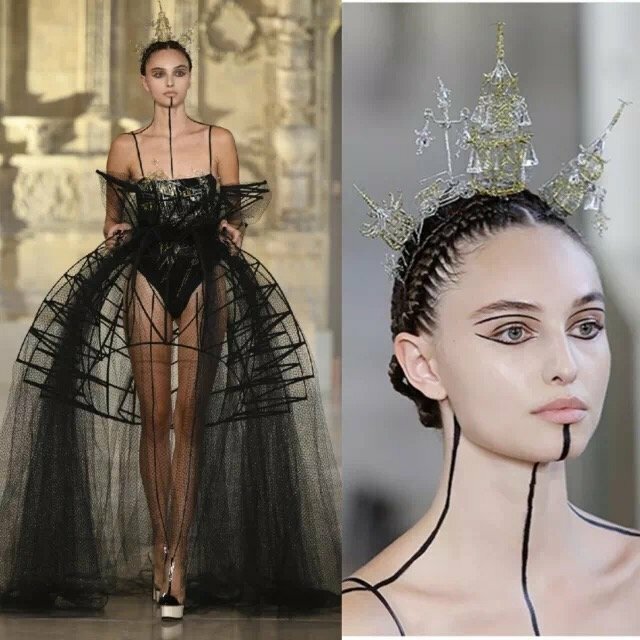 Chinese designer Liu Chao released AW18/19 haute couture collection themed “PALACE DES MERVEILLES” in Paris. 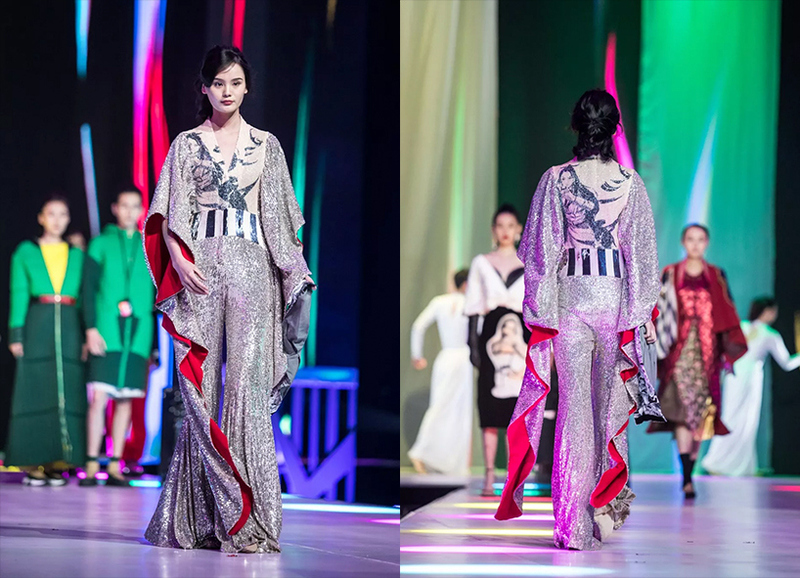 Inspired by Tibet, Liu Chao started from traditional costumes and interpreted the respect and harmony between human beings and the nature with modern techniques. The collection also expressed a reverence for the gods and yearning for pure and primitive highland life. Millinery designer Shine Li (李姍) designed hat accessories for the collection. 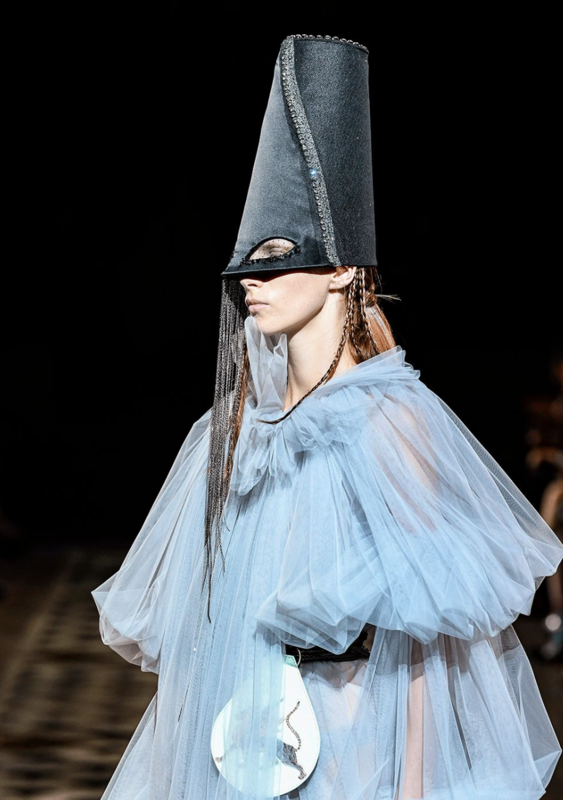 She made bold adjustments in the proportion of hats and used magnified symbolic elements to express the ritual and mystery theme. Shine Li also stressed the decoration in main parts. Designer brand Calvin Luo launched the first SS menswear collection in June 2018 in Paris. 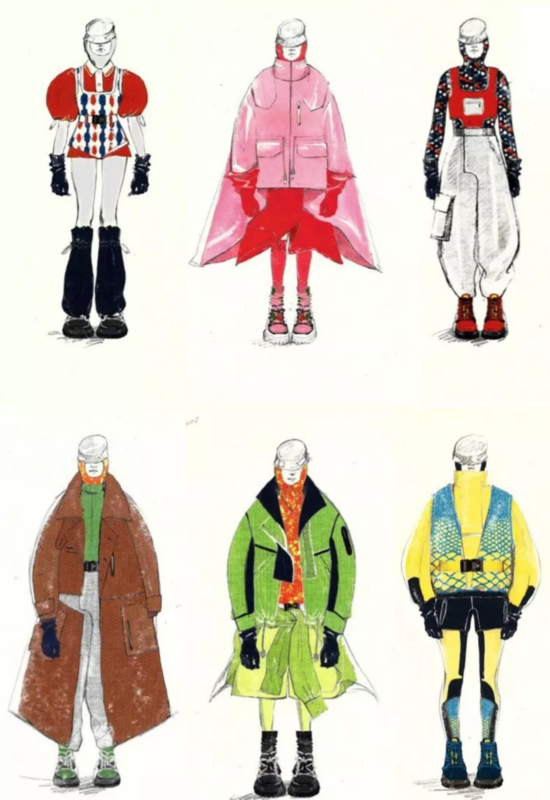 The collection featured a 1970s theme and re-interpreted some representative fashion elements from 1970s, such as flare jeans, denim, floral prints and tight knitwear. The first campaign image was shot by New York photographer Case Bird, and styled by Michael Philouze, the menswear editor for Vogue U.S., featuring various celebrity kids, such as Dylan Brosnan (son of Hollywood celebrity Pierce Brosnan), Arsun Sorrenti (Son of Photographer Mario Sorrenti), Jackson Wakefield (Son of Stylist Camilla Nikerson and curator Neville Wakefield) and the model, Naleye Junior. Designer brand Howl opened its first pop-up store in HKRI Taikoohui in Shanghai. The brand is created by three ladies, Winnie, Miffy and Pady, who used to work at advertising companies. Note: The above information is based on the company announcement and/or online news. Luxe.Co makes reasonable efforts to obtain reliable content from third parties. Luxe.Co does not guarantee the accuracy of or endorse the views or opinions given by any third-party content provider. 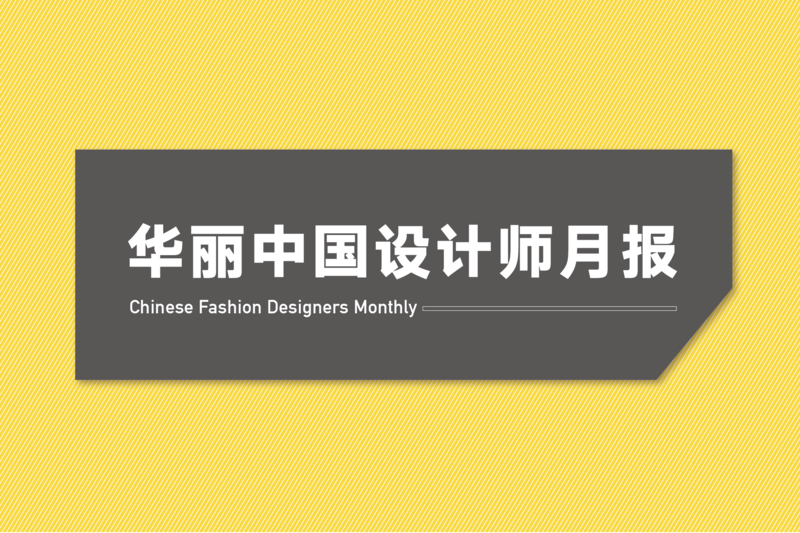 Please leave your comments below and share with us the Chinese designers you are interested in.